MacPHERSON, H.A. ; Gerald Lascelles, Charles Richardson, J.S. Gibbons and G.H. Longman; Kenney Herbert. The Hare. Natural History... Shooting... Coursing... Hunting... Cookery. 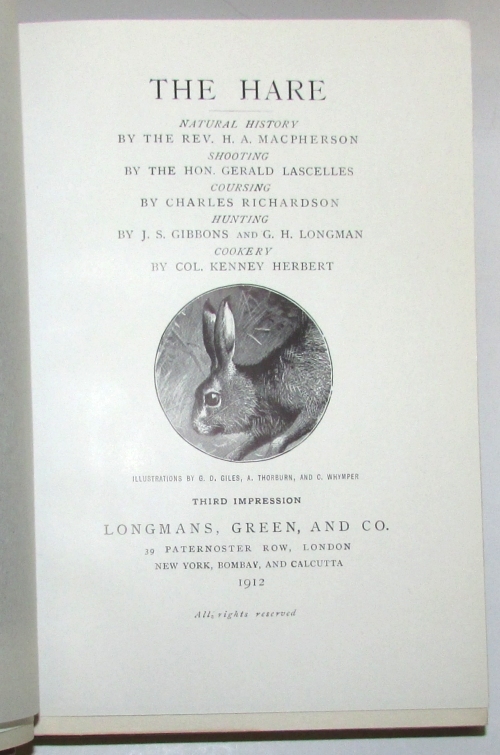 London: Longmans, Green and Co., 1912. Third impression. 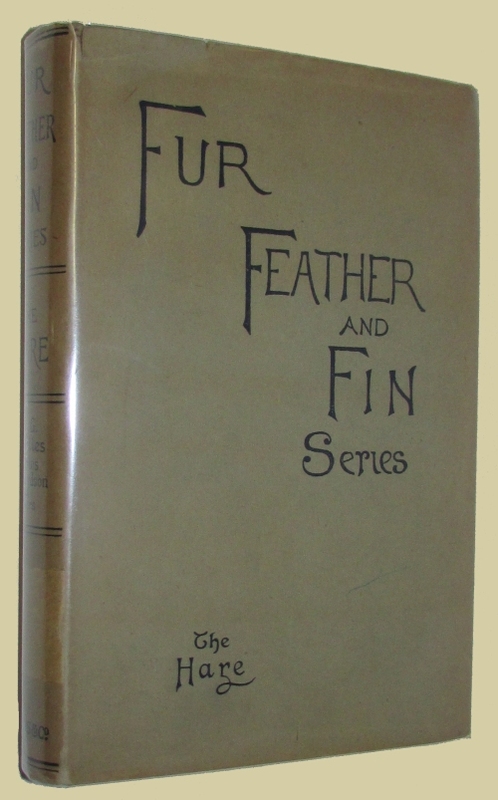 “Fur Feather and Fin Series.” 8vo., original pictorial cloth, 263pp. Illustrated. Fine in a near fine dustwrapper.